You’re finally ready to leave paperback books behind and make the leap into the digital pages of e-readers. You’ve even done your research and decided to buy an Amazon Kindle. But before you place a shiny new e-reader on the shelf next to your dusty copy of “To Kill a Mockingbird,” here are a few things to consider. The name Kindle has become synonymous with e-readers, but its manufacturer, Amazon, has a host of e-readers in the Kindle lineup that the retailer refers to as a family of digital readers. So wanting a Kindle doesn’t completely narrow down your intended purchase. The lineup begins with the entry-level Kindle, which is a basic, no-frills e-reader with a starting price of $79.99. Then come three more-advanced models: the Paperwhite, the Voyage and the Oasis. The Paperwhite, which starts at $119.99, brings built-in light and a higher screen resolution to the table. The Voyage, which starts at $199.99, introduces more lights and a lighter device weight. Finally, the Oasis, which starts at $289.99, includes a charging cover and has a battery life that lasts months. You’ll need to weigh the features that are most important to you with the price you’re willing to pay. Devoted bookworms may find that a built-in light and a longer battery life can make the reading experience more pleasant, while casual readers can get by with less. Once you select a model, you’ll reach another fork in the road. Buyers can opt for Wi-Fi-only or Wi-Fi + 3G connectivity for their Kindle device. 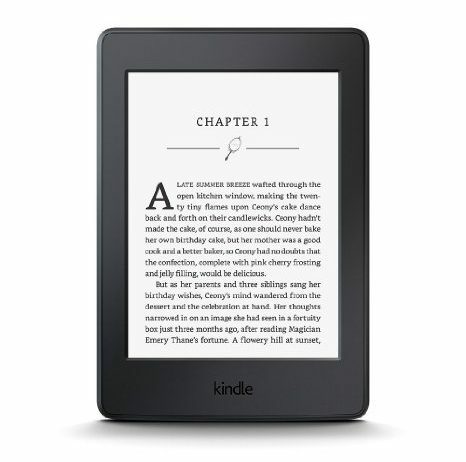 The exception is the standard Kindle, which is sold only in a Wi-Fi version. Choosing a model with free 3G can give you some connectivity access even when the device is out of Wi-Fi range. This option may be especially beneficial to those who intend to travel with their e-reader. However, convenience comes at a price. The Wi-Fi + 3G version of each Kindle model costs $70 more than the Wi-Fi-only option. That, for example, would raise the price of the Paperwhite from $119.99 to $189.99. Check Amazon’s coverage map to see where 3G connectivity is available for the Kindle. Note that the retailer’s 3G service allows you to access only the Amazon.com or Wikipedia sites via the e-reader’s experimental web browser. For unrestricted web access, you will need Wi-Fi. Kindle e-readers also come standard with something that Amazon refers to as “special offers” — a term that really is code for ads. According to Amazon, “If your Fire tablet or Kindle e-reader includes Special Offers, you’ll receive Sponsored Screensavers and special offers for Kindle books from Amazon directly on your device.” Special offers are displayed as a screensaver when your device is in sleep mode. If you opt for the regular configuration of a Kindle, these special offers will be automatically included. For an ad-free experience, you’ll have to pay $20 more while making a purchase and select the “without special offers” designation. So for the basic model, that would raise the price from $79.99 to $99.99. If you’re expecting your Kindle e-reader to be exactly like a tablet, think again. Kindles are designed for the kind of digital reading that mimics the real thing. They can be held in one hand, offer sharp text contrast for easy visibility, and allow users to pick up on the last page they read even after a break. But if reading is one of many needs in a new digital accessory, consider something like the iPad Pro tablet, which offers an iBooks app for digital reading in addition to all the traditional iPad features. Amazon also sells its own line of Fire tablets. The buying process doesn’t stop with a Kindle. In fact, Amazon has an entire e-reader accessories department. This includes chargers, covers, cases and screen protectors. An anti-glare screen protector for the seventh- and eighth-generation Kindle, for instance, costs $12.99. 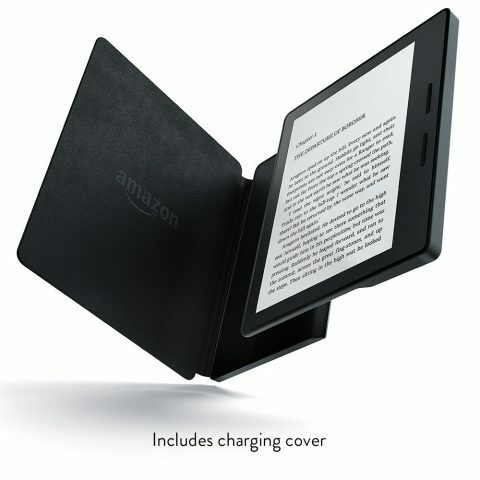 The Kindle Oasis is the only model that comes with its own charging cover (a case that doubles as a source of power). For other models, a protective case must be bought separately. For the Voyage model, a typical Amazon protective cover will cost $44.99. Kindles may be an Amazon creation, but accessories for the e-readers are sold by other retailers, too. We’ve spotted affordable Kindle cases and car chargers at Best Buy and Staples.